Situated on the west coast of Canada, in Surrey, British Columbia, Newton's Hi Quality Meats Ltd. has been in operation since 1972. 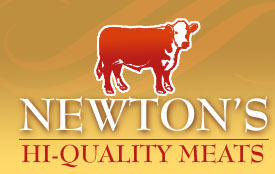 Newton's Hi Quality Meats services restaurants, butcher shops, long term care homes, government institutions as well as the supermarkets. Newton's Hi Quality Meats is able to meet and exceed the expectations of customers by providing extraordinary service at a personal level. This level of service is sustained by the ability of the dedicated personnel and infrastructure investments made by Newton Hi Quality Meats Ltd. The personnel team prides itself on its ability to distribute product efficiently and accurately even on a short notice. The entire team which is comprised of meat-cutters, shippers/receivers, drivers, sales staff, administration and executive staff work in a joint effort to satisfy their valued customers. Experienced and knowledgeable sales team are always eager to answer all queries posed by the customers as well as go "the extra mile" in performance of their duties. Newton's products and services are available primarily in Lower Mainland as well as the Vancouver Island of British Columbia. Along with the ability to distribute food products, Newton's now also offers freezer storage facility thus expanding the range of services available to existing and potential customers. Due to the large volume of storage ability offered by on-site coolers and freezers, the buying team can capitalize on opportunities that the competitors may fail to realize.